Monero has been on recovery mode in sync with the market. Monero hard fork will take place on March 9. 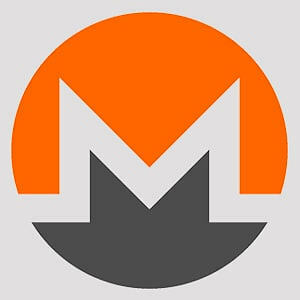 Monero (XMR) is changing hands at $50.56, having gained 2.5% since this time on Wednesday. The 13th largest coin with a market value of $864 gained 11% in February, which became the first positive month since April 2018. Looking technically, Monero moved above the critical resistance of $50.00; thus the focus has shifted onto $51.50 and the recent high of $55.54. This area is likely to stop the recovery; however, once it is cleared, the upside may be extended towards $60.00. On the downside, the first significant barrier is created by DMA100 at $48.59 support area. If it is broken, the bearish momentum will gain traction with the next aim at $47.30 (DMA50). Monero network is getting ready for a hardfork scheduled on March 9. This fork should make the coin resistant to ASIC miners. It is worth noting that the previous update failed to restrict Monero mining on these devices. Thus at this stage, about 85% of Monero coins are mined on ASICs. The update will take place on block No. 1 788 000. Meanwhile, the community is not happy with the decision as it was taken by developers behind the closed doors.